I have a profile on Facebook. There are lovely people with whom I interact. Today, I used the friends search to look up old, old acquaintances, names from 30 years ago, childhood friends. Something in me wants to see the shining lights they’ve all become. Something in me would love to know they all had wonderful adventures and are living this life with gusto. Life is very strange. It often meanders. 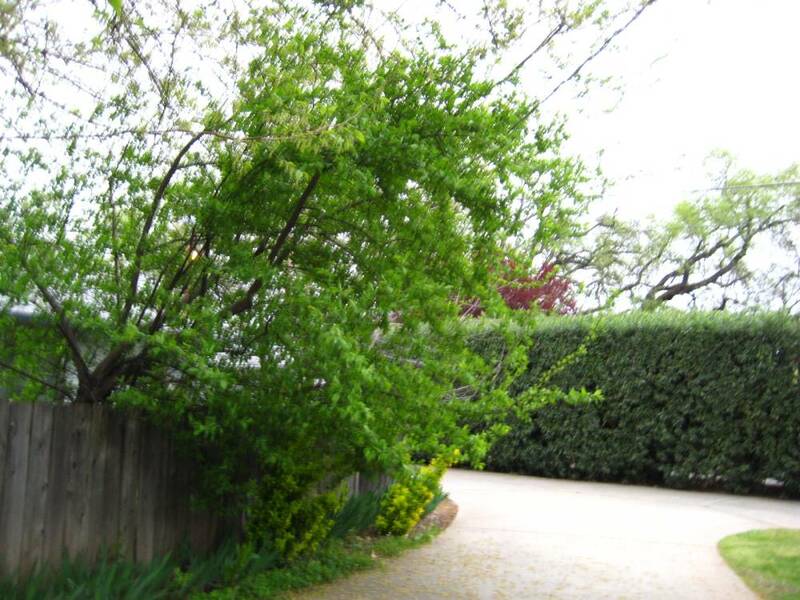 I had a dream last night that I walked through a neighborhood, marked with southern California vegetation and style. I saw a gathering of children and mothers. I looked up on a hill towards a large building. It was the Church of Disney. All the young girls were dressed in short Cinderella drag and their faces were molded over in makeup that obscured their natural features. I was disgusted by the existence of this confluence of religion, worship and fantasy-based commerce. Many of us grow up with a full set of ideas about the world that are the result of film, TV, books. We can have a tough time telling fiction from reality. Disney products, especially, altered the minds of many young women. Stories of Prince Charming, Sleeping Beauty and of abandoned children who always manage to find their way back home set up certain expectations. 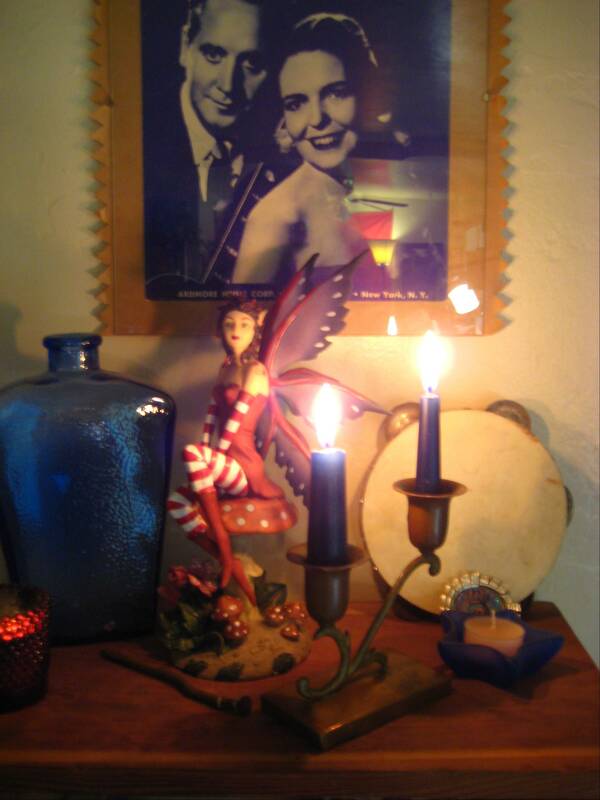 Enchanting, dramatic and sentimental films, Hollywood classics made us feel we live in a very special world. I still believe I am wearing Hollywood-colored glasses a great deal of the time. I think thta’s why I hate to go to WalMart and feel the big contradiction. John Casavettes said this: “Maybe there never was an America maybe it was all Frank Capra. We love stories and stories are good. I make up stories in my head all the time, about people I don’t know, about the beautiful grooviness I imagine for a particular setting I see. I long to have the story of someone I’ve known have a sweet icing-on-the-cake ending. I could find few from my past on Facebook but one really sad find was the present day photo of a formerly sweet, simple hippie boy from my hometown. We lived on a commune in the high desert. His girlfriend was the coolest person I’d ever met. He had a beautiful doggie, a chocolate Lab, and an interesting best pal from our shared home town of Santa Ana. Both of us are Aries, too. In his Facebook photo he was all got up in a suit and tie. I got the vibe of a minister. I got the vibe of “please somebody love me,” a sort of desperate I’m-looking-for-women intent. I guess there’s nothing wrong with that. Maybe this former hippie lad has more Pisces than I. Maybe he could never find the right bowl to swim in. I know that although he married the cool girl and they had a couple of babies they eventually divorced. I found that out reading the cool girl’s obituary last year. I’m so thankful my partner is right for me and strong in all the way that matter to me and that we share the same values — art for art’s sake, nonmaterialism, a longing for peace, a respect for all creatures and entities of the earth and beyond. That was a hippie mentality but the world sometimes warps the tender. Some of the stories we hear send us onto false paths. We’ve all been at least part way down a wrong road. You can let your light shine no matter where you are walking and maybe this guy, this former hippie youth shines in his own way, even trussed up like a banker. We all go through changes. Hell, I wear ties. The Church of Disney and Capra have given me a lot to wake up from but there is a perfection in all effort no matter how sloppy, and even if the picture comes out a little bent and fuzzy it’s all good work. Finished the first segment of my pillow project and am taking a break this weekend though I may not remember how to be still. Two really fun custom projects in a row kept the show on the road. These big fat pillows are about 22 inches tall, 16 inches wide and five inches thick. They are super cuddly and a joy to stitch together. While working on the finishing stitches I can rest my arms on their oh-so-soft surface. Dreamy. The patterns were made by taking a fairly small regular font printed on a piece of paper, capturing each letter as a digital image and them blowing it up as much as possible. More paper was taped onto the 13 x 17 base letter to get the exact shapes I wanted. These were for designer Chele McKee who does beautiful work. She wanted a funky, chunky childlike look for displays of kid”s clothes. Funky and childlike is my thing. Like all plush creations these pillows are so comforting to hold. They are soft, soft, soft. There is something inviting about the heft of these, too. 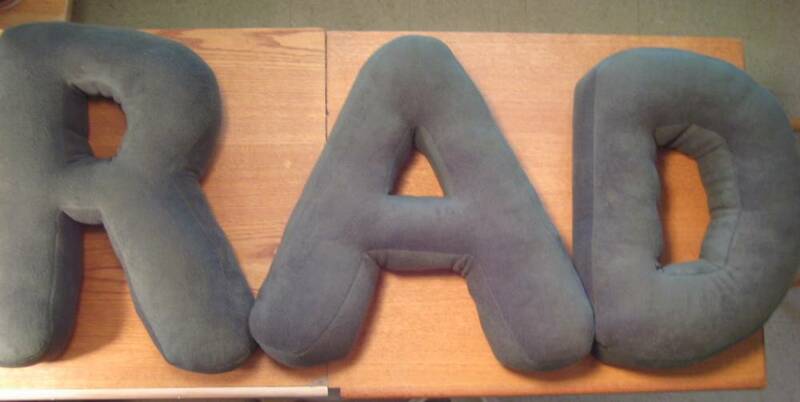 We now have custom letter pillows over at DarcyArts! These very fat letters make great pillows for lazing on the bed, the couch or your favorite chaise lounge. Oh how I covet a chaise lounge. My current dream is to happen onto a nice comfortable lounge in one of Redding’s nice thrift stores. I think it’s time to paste up cut out pictures to make the magic happen. 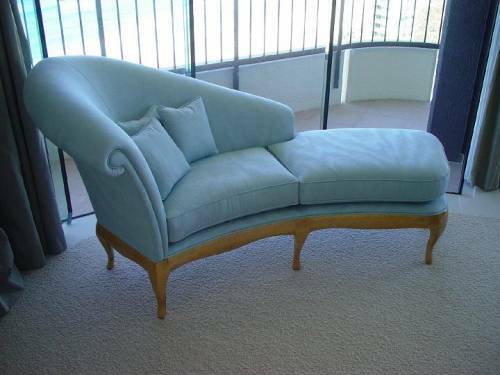 Come to me, Chaise. In the past, my imagination craved a deep purple curve couch. I haven’t run into it yet. I have had the urge to make my own couches. Just cobble them together out of crude elements and nice soft coverings. I know it’s not that simple but why shouldn’t it be. Everything is made from simple shapes, connecting them in a functional way. I still have so many things to discover. It’s all problem solving. There are two ridiculously large bean bag chairs that my son, Brain left here. Someday I will figure out how to turn them into more user-friendly, less space consuming seating. Maybe I could turn them into funny bear skin rug mats. Sort of big chunky flat lounge throws. Hmm. I feel impelled to use that bean bag stuffing material. 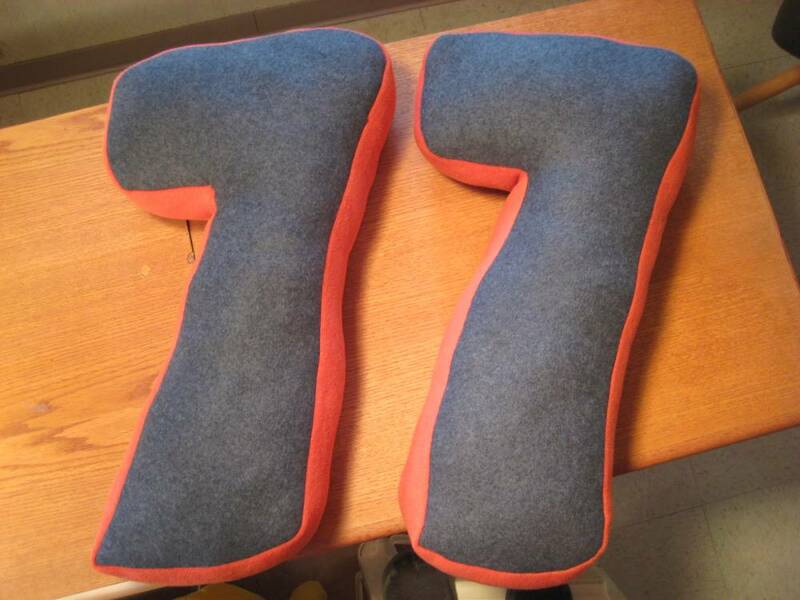 I was going to take the stuffing out of this mishap “7” but just holding it changed my mind. 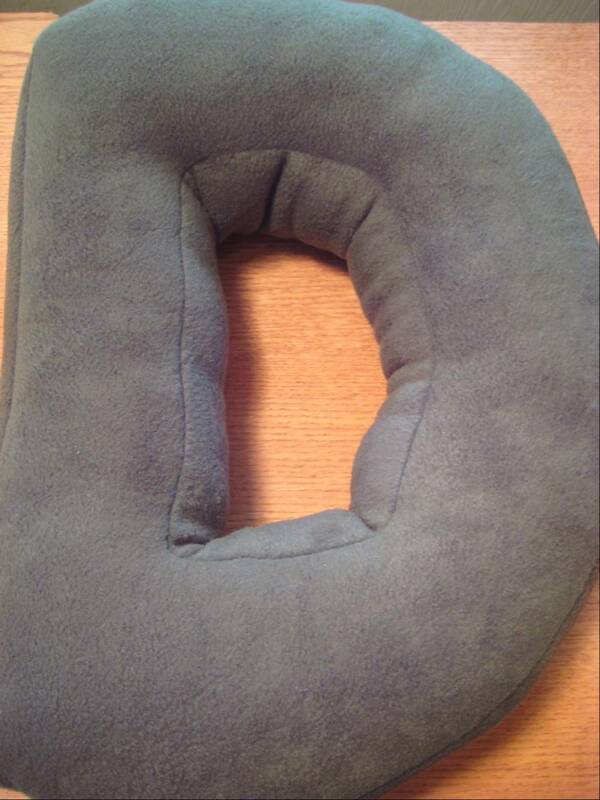 It’s such a comfortable pillow and could used beneath a tired neck. It looked kind of like a pony head. 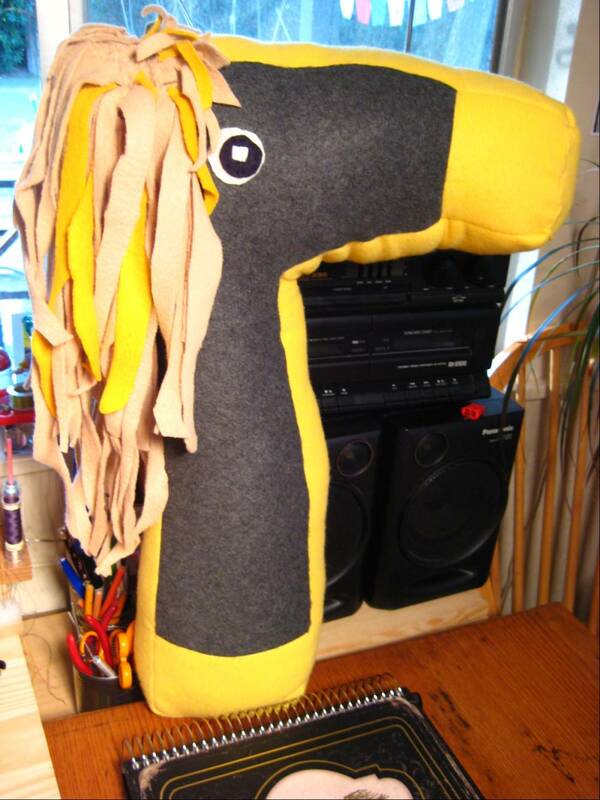 I added eyes and a mane and viola! A few tweaks will refine these ponies. Maybe a bridle, a slightly more rounded and shorter jaw. They will make cuddly huggable pillow friends. I’ll do them in brown, reddish, black and tan. We all need to hug something or somebody. I did a little dumpster diving early Friday morning. Not really diving but peeking into large containers that might harbor some nice cardboard. 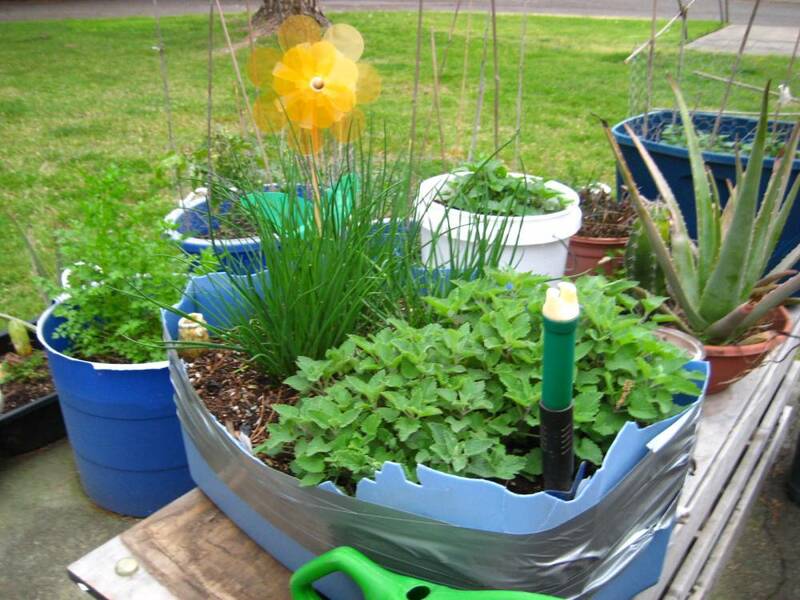 I found a really nice, humongous container that I’ll certainly revisit. Most things were wet from Thursday rain and hail. I found some old rusty snow chains that I just had to rescue. They are very heavy and may be made for truck tires. They are wide, right? I have never had to deal with tire chains in any way. 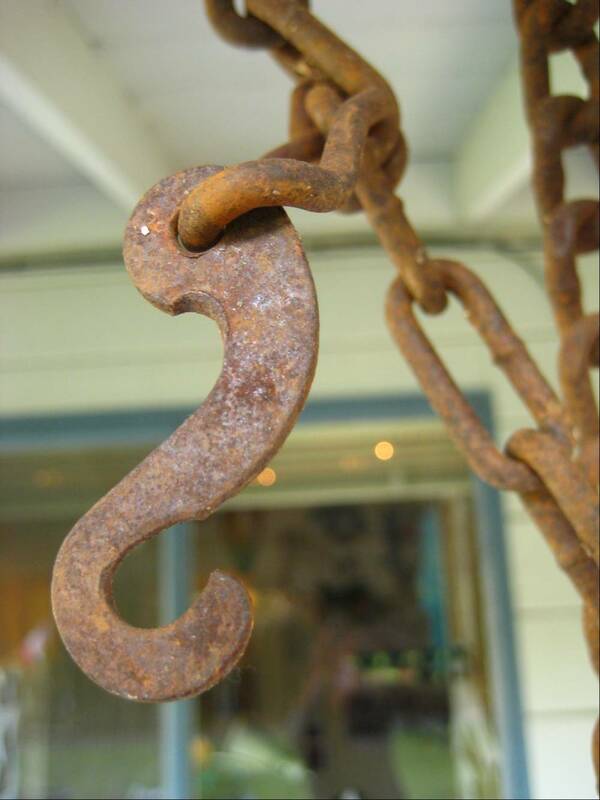 I just like rusty things and chains and metal and here they are like metal drapes. Since my last move four years ago I swore off dragging home rusty junk. 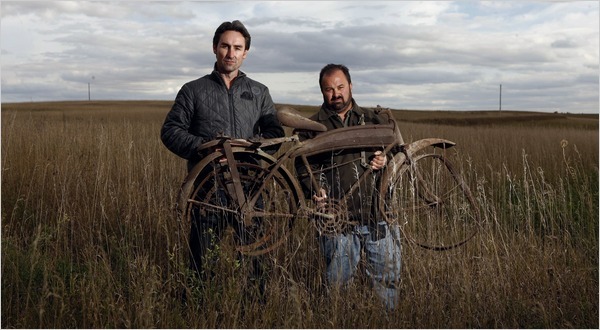 I don’t want to end up like the junk farmers I see in American Pickers, acres of stuff they’ll never use, piles that just grow and grow until the earth reclaims all of it. 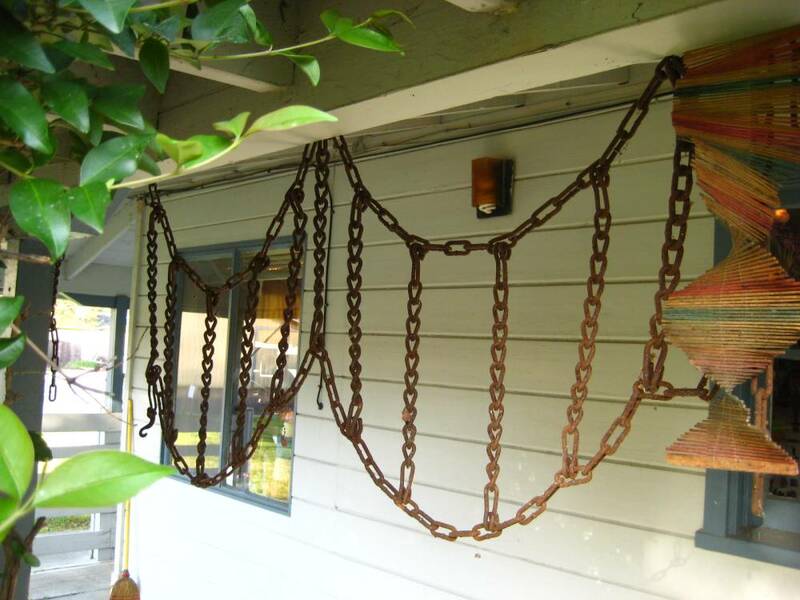 The hooks caught my eye and I’ve imagined being able to take lengths of the chain to make really butch jewelry. Will my little electric saw cut through these links? I have metal blades. 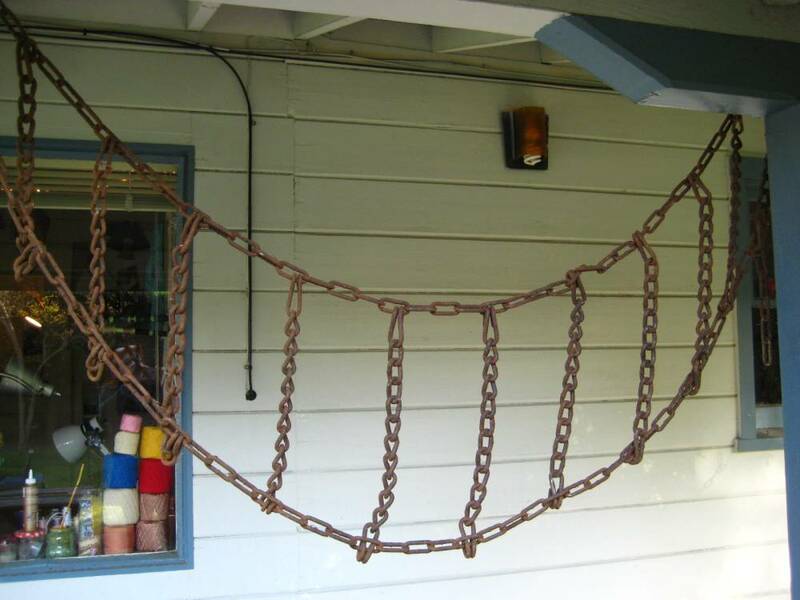 These chains are completely functional, not broken at all. They are too heavy and well made to fall apart. I’m busy! Taxes are going to be very different this year than last. I’ve received and lived on the meager amount of retirement bucks squirreled away while employed. I created a very small business and have to do the math on that enterprise. I’m trying Turbotax. So far it’s easy. I like the little tote box that counts up your return as you go along. Kaaching! The taxes will have to wait until I get the first part of a new custom order done. Last year at the end of spring I picked up a couple plants marked cilantro. They were not cilantro which I love but parsley. 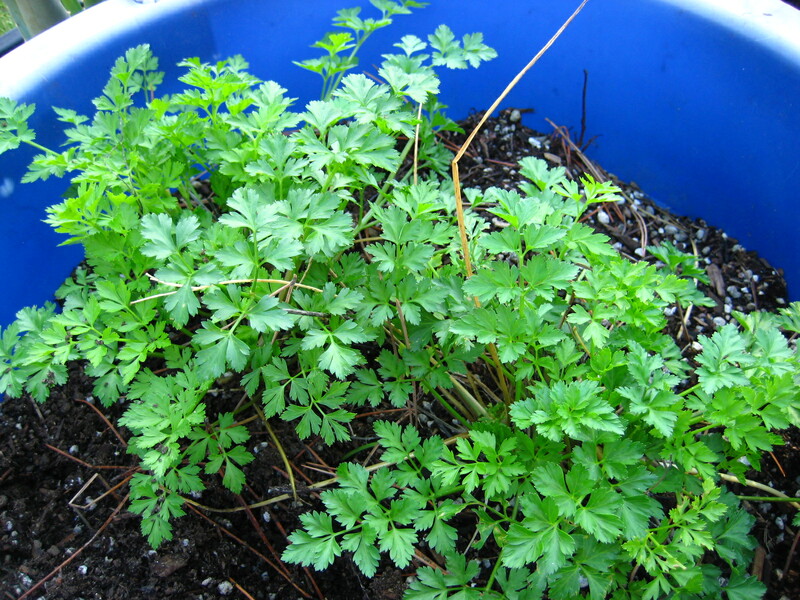 This season the parsley, along with my catnip (yea!) is back. I do not know what to do with it. I took a quick look at recipes on the net. I got excited by the idea of parsley pesto but then realized that recipe used Italian parsley. I have the regular tough, strong flavored parsley. I could put it in mashed potatoes but that would ruin the potatoes for me. They are fine all by themselves. Soups, stews, and salads. Okay, but you need so little. Greek shrimp and pasta calls for parsley, I’ve read, but just knowing I would prefer the taste of cilantro to parsley in any of the recipes causes me frustration. Does anyone out there know of a good recipe that somehow makes the most of the flavor of parsley? I guess I could dry it and just sprinkle a bit in things.